Auto Ventshade's premium seamless deflectors are designed to complete the look of your luxury vehicle with a subtle style and elegance. Available in a smoke grey or smoke with chrome trim finish in two piece, four piece or six piece sets. Each set installs with double-sided tape. 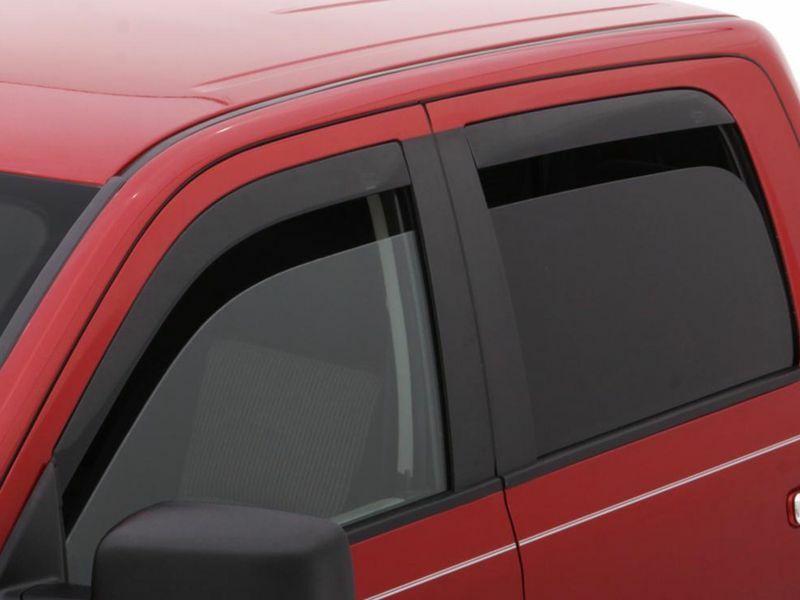 The Auto Ventshade seamless vent visors are currently available for cross over vehicles, SUVs, and pickup trucks. Select AVS Seamless vent visors includes visors for the small third window (six piece sets). In addition, select applications have the front and rear vent visors overlap for a sleek and smooth look. Like all AVS vent visors, these keep the rain out and the fresh air in. Get yours for your truck today! 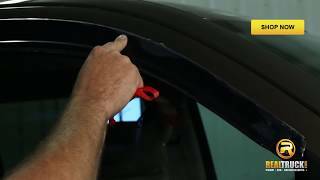 Auto Ventshade seamless window deflectors have a limited lifetime warranty. AVS seamless vent visors are an easy at home installation utilizing double sided tape. Any additional questions please call 877-216-5446.